As millions of people around the world look for healthier and organic foods, fruits are growing in demand both locally and globally. Apart from the millions of fruits that we eat at home in Kenya, many of us do not notice the huge volumes of bananas, avocados, pineapples, mangoes and several other tropical fruit varieties that are shipped to Europe, the Middle East and USA every week! Kenya has a unique advantage to profit from this very lucrative market for tropical fruits which grow abundantly on our continent. Why is the market potential for tropical fruits huge for Kenya? In line with our tradition on Small starter, it’s important to us that our readers understand the market forces and economic opportunities behind every business opportunity we share. Our research has identified three strong reasons why Africa’s future in the tropical fruits business is shining very bright. More than 70 percent of fruits consumed on earth come from the tropics, which is why they’re called ‘tropical fruits’. A very large portion of our dear continent is located in the tropics – a region that enjoys all-year-round sunlight and has a perfect climate for fruits to thrive and grow abundantly. As a result, Africa remains one of the world’s largest producers of some of the most popular fruits on the planet – citrus, pineapples, bananas and many others. Despite our continent’s huge potential to produce fruits for the world, a lot of fruits grown in Kenya are consumed locally. 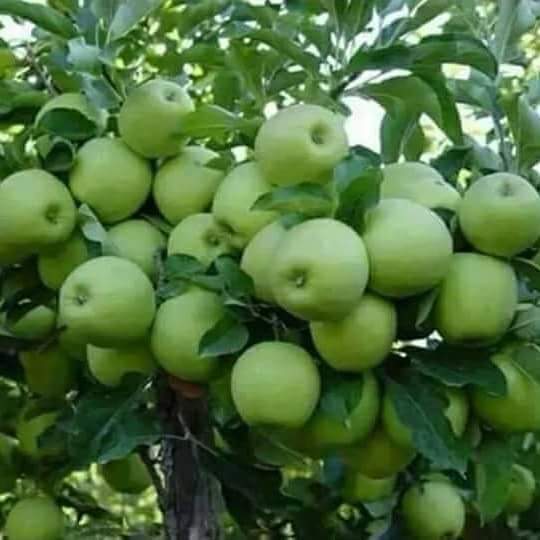 Because fruits are highly perishable (spoil very quickly) and many farmers have little access to good storage facilities, Kenya currently exports less than 5 percent of the fruits it produces every year. Due to the revelations by modern science about the health benefits of eating fruits and, millions of people around the world (especially in developed countries) now include some form of fruit in their daily diets. Apart from their rich nutrient, mineral and vitamin content, fruits are now known to lower blood pressure; reduce the risk of heart disease, stroke, and probably some cancers; and help to lower the risk of eye and digestive system problems. The growing consciousness in Western countries to adopt fruit-rich diets is one of the major drivers of the growing demand for tropical fruits which are abundant in Africa. As a result, countries like Ghana, South Africa, Ivory Coast and Kenya earn millions of dollars every year from fruit exports to Europe, the Middle East and USA. According to the World Health Organisation, millions of people around the world still die prematurely from diseases associated with low fruit consumption. While this is sad, it signals a promising and lucrative growth in the demand for African tropical fruits now and in the future as more people add fruits to their diets. This rapid growth is driven by a rising preference by customers for healthy drinks (like fruit juices) over soft drinks (such as carbonated drinks – like Coke and Pepsi). There is also a rising demand for organic, super fruit and 100 percent natural fruit juices without any sweeteners and preservatives. This means that in the very near future, producers will require more raw fruits to make a glass of juice. As more manufacturers shop for fruits to produce more juice to serve the growing demand, Africa will become a huge supplier due to the abundance of fruits that grow on the continent. This added demand from fruit juice manufacturers is allowing farmers across Africa to process their harvested fruits into less perishable concentrates thereby reducing spoilage and earning them more money. Make an effort today by calling us. We have all types of tree fruits. Book Now! The grafted variety matures after 9- 12 months depending on location and the expected output is between 25-40 kg per plant annually. The current market price of the tree tomatoes fruits is sh 80-150 per Kg. This means one tree tomato can give returns of more than 2000-6000 annually under good management. They have a lifespan of more than 6 years and they produce through out the year. One acre of land under a good spacing can be planted 1500 seedlings. Get the seedlings from us @100. We do delivery country wide. We also have management and consultancy services on the tree tomatoes. Visit our offices or demo farm in Nyeri to learn more on tree tomato. The grafted variety is diseases resistant also drought resistant ‘Muthakwa tree’ is tap rooted and is able to tap water from deep underground. It is also not attacked by nematodes unlike the ordinary tree tomato. We are currently managing over many farms in Nyeri, Embu, Nakuru and Kiambu counties.